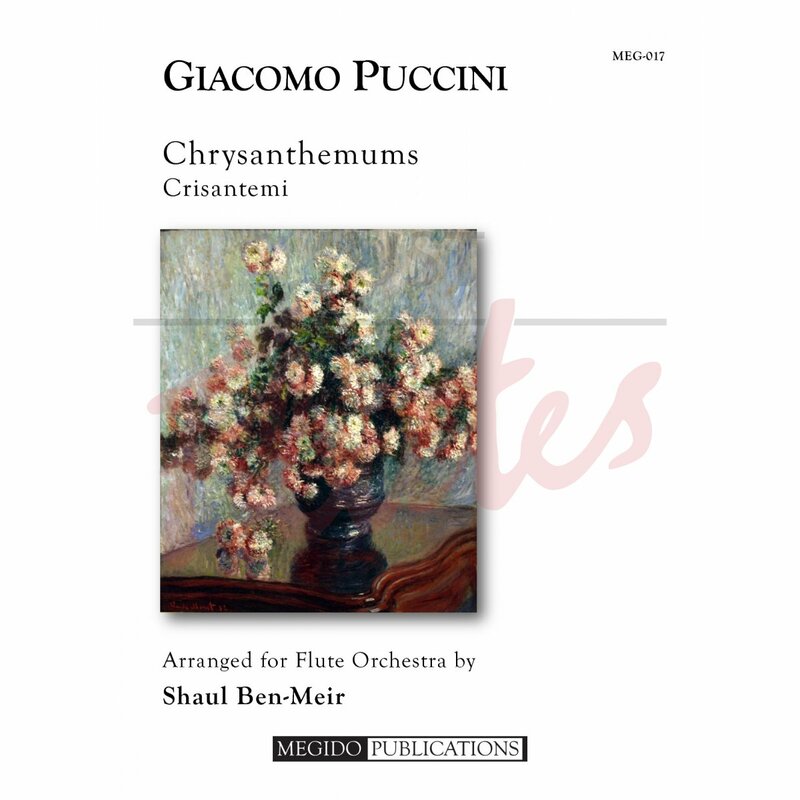 Chrisanthemums, composed by Giocomo Puccini, arranged for flute choir by Shaul Ben-Meir (in memory of Ed Adams). Puccini wrote 'Crisantemi', an elegy, in a single night in 1890 in response to the death of the Duke of Savoy. It is a single movement in ABA form. The first theme begins with the outer voices in contrary motion, effectively a slowly opening blossom, and while the second theme is somewhat faster, both themes are dark-toned and melancholy, and the musical motion evocative of sighs of the grieving. 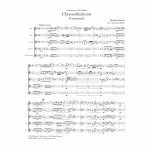 Originally a string quartet, it is more performed as in symphonic orchestration. 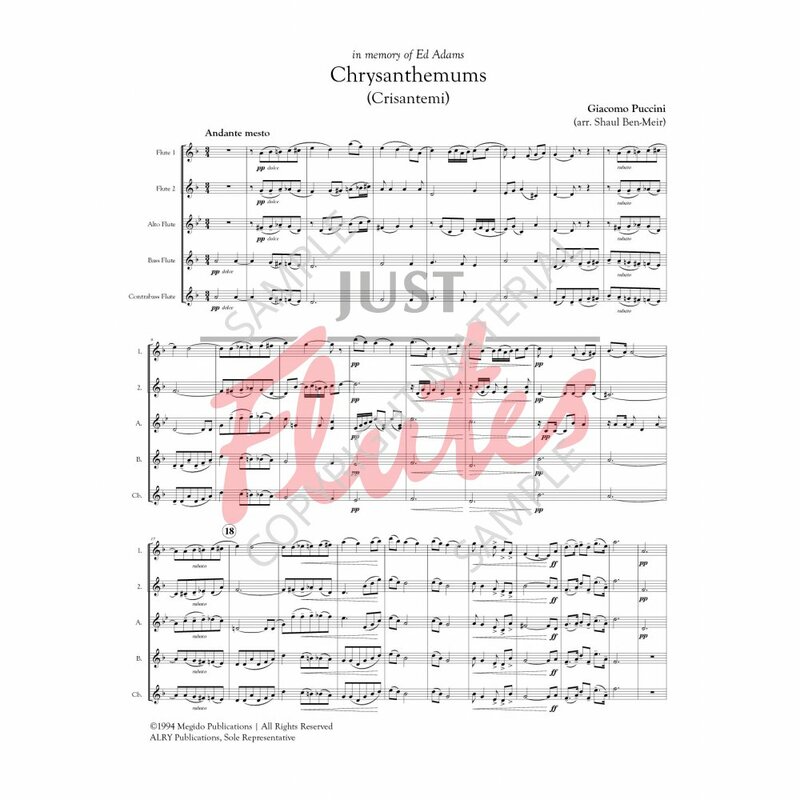 The fullness of the flute orchestra voices faithfully reflect the composer's scoring.